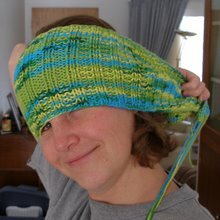 When the kids were little, I used to make these at least once a month. Back then, we ate a lot of spaghetti and this was a fun way to change things around. I'd give a list of ingredients, but really, it's whatever you want to put on them. As for specialized kitchen equipment, you'll need a large muffin tin, that's about it. 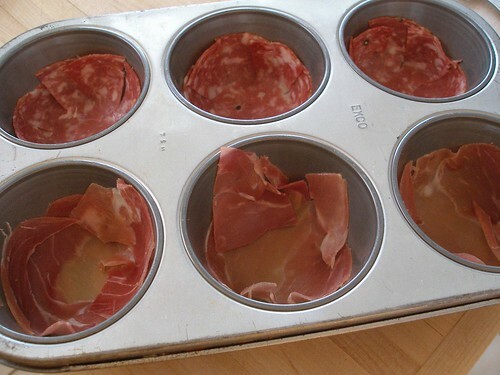 The first step, which is completely optional, is to line the tin with either Sopressata or Prosciutto. 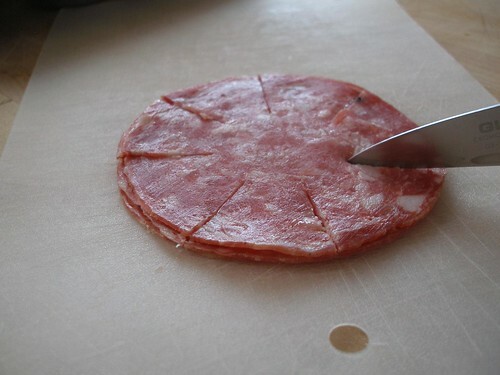 The Sopressata fits better if you cut it like this. Then you fill each tin with spaghetti (um, or linguine which is what I used) and cover with your toppings. I did some with pesto and some with pizza sauce. 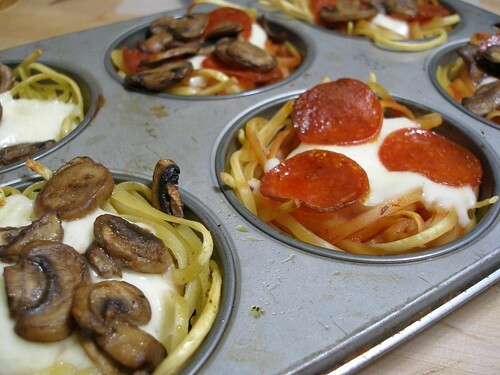 And then topped them with fresh mozzarella, pepperoni and cooked mushrooms. 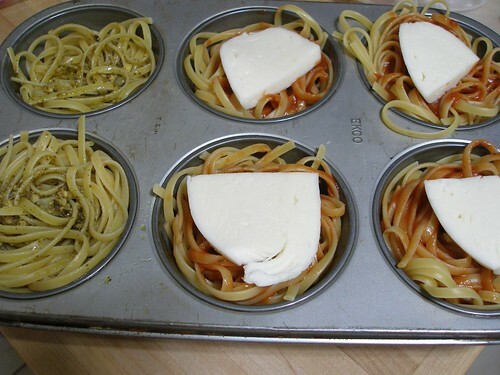 Pop them in a 350 degree oven until the cheese is melted. I liked these because they're a good recipe to let little ones get used to the idea of making dinner for everyone. If you give them all the ingredients, they can do all of the assembly themselves. This is too fun! I may have to steal this idea. must, must, must try. i've made little frittatas like this but never thought about pasta. oooh, I like this idea. It sounds perfect for a 6yo who is interested in making dinner for everyone. And for the everyones who are tired of chicken nuggets and cheese quesadillas. I have never seen anything like this but I think my monkeys could really get into a cooking project like this. this rocks and will be my next dinner. Ooh, I love this idea! My mom made spaghetti pie when I was little but never individually. And the pesto sounds YUMMY! I envy your fresh mozzerella a little bit, too. :>) I linked to this on my weekly roundup and hope to try it soon. Thanks for sharing!